So you are about to have a new little one in your life? Congrats! This is a special time in any families' lives that should be treasured and celebrated. You also need to prepare for your bundle of joy financially the right way. 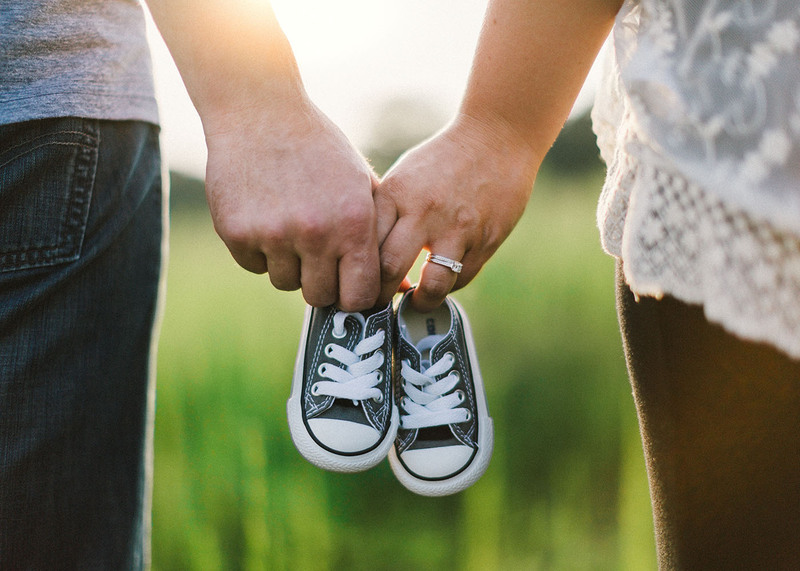 Obviously, friends and family will probably throw you a baby shower to help supply you with some of the important physical items you need when welcoming a new baby, but what about the less obvious methods of preparation, like preparing a last will and testament, identifying a legal guardian and securing life insurance? Unfortunately, many parents don't like to think about how their children will be taken care of in the event that something tragic happens to either or both spouse(s). Take heart. Once you make the proper plans to get life insurance, it's just another step to ensure that your child will be provided for in the future. Here are four life insurance tips to consider when purchasing your family life insurance plan. Even if one of you plans on staying home for a bit or long term with a new baby, both of you need to have separate life insurance policies. Don't underestimate the financial value of the parent that stays home. This is a mistake many couples make when purchasing life insurance. The money will go to supporting the family if one spouse is gone, including child care costs. There are two types of life insurance, "term life" and "permanent life." There is a very simple difference. Term life is a type of life insurance coverage that you purchase for a specific amount of time. You should plan to have a term of coverage long enough to ensure your young family has been provided for throughout their young life. If you have a newborn, then you would consider a term of 20-25 years. You could also consider a permanent life insurance plan, which will cover your entire life beyond the needs of your young family. The major difference between the two types of insurance are cost. Term life is for a defined period so the cost is limited and less expensive than a similar permanent life policy. Permanent life insurance can provide additional benefits for the future not available with term insurance. Whatever your choice, you will have provided a secure future for your surviving spouse and children. Determining how much life insurance coverage requires careful planning. Consider your current income as well as current and future family expenditure needs. You will want to add in costs of things like college for your child, or multiple children, income requirements for a projected period of time and your surviving spouse's income capability. You may also want to consider how your want your children raised (day care or by your spouse). This is very important because you want your family to have the best life possible. These are just some of the things to consider as you plan to protect your family. Naming your beneficiary should be carefully considered. Typically, a married couple will make their spouse the beneficiary. However, if you are single, then your choices become more complex. Whether you are married or single, you should have your guardian identified and the legal documents in place to provide the necessary income your children will need to fulfill your dreams for them. Also, you should never name your children beneficiaries if they are under age 18 or are if they are special needs. Again, naming beneficiaries can get very complicated. At Leonard Financial Group, we help you answer these difficult questions to ensure your family is protected. Please feel free to call our office (321) 259-6239 for a complimentary planning consultation. Leonard Financial may utilize third-party websites, including social media websites, blogs and other interactive content. Leonard Financial considers all interactions with clients, prospective clients and the general public on these sites to be advertisements under the securities regulations. As such, Leonard Financial generally retains copies of information that Leonard Financial or third-parties may contribute to such sites. This information is subject to review and inspection by the CCO of Leonard Financial or the securities regulators. Information provided on these sites is for informational and/or educational purposes only and is not, in any way, to be considered investment advice nor a recommendation of any investment product. Advice may only be provided by Leonard Financial’s advisory persons after entering into an advisory agreement and provided Leonard Financial with all requested background and account information. Call us today or click the button below. The Your Retirement Income Planning Checklist report is provided for informational purposes only. It is not intended to provide tax or legal advice. By requesting this report you may be provided with information regarding the purchase of insurance and investment products in the future.